Subscription boxes are awesome when you have a few bucks to spare every month, and you love mystery. You can subscribe to book, beauty, food or any other subscription boxes and have them shipped to you every month. One advantage you get with these boxes, especially beauty subscription boxes, is that goods are offered at a price less than half of what you would pay in a store. If you have never subscribed to any boxes, it is advisable to start with boxes that are affordable; less than $15. This way, you will know which boxes work for you before moving to pricey boxes. Most of the boxes on the market ship to you every month and you pay a regular fee as listed by the subscription box seller. However, some allow you to make one-month subscriptions then decide later when you want to start. It is up to you to decide the products you need; jewelry, books, dog food, snacks and sweets, wines or clothes. You can also subscribe to mystery boxes where different products are delivered every month. Even as you look forward to saving money and getting unique products through subscription boxes, you need to be wary of substandard products. Customer reviews will tell you the quality of the boxes. Here are ten subscription boxes you can get under $15. 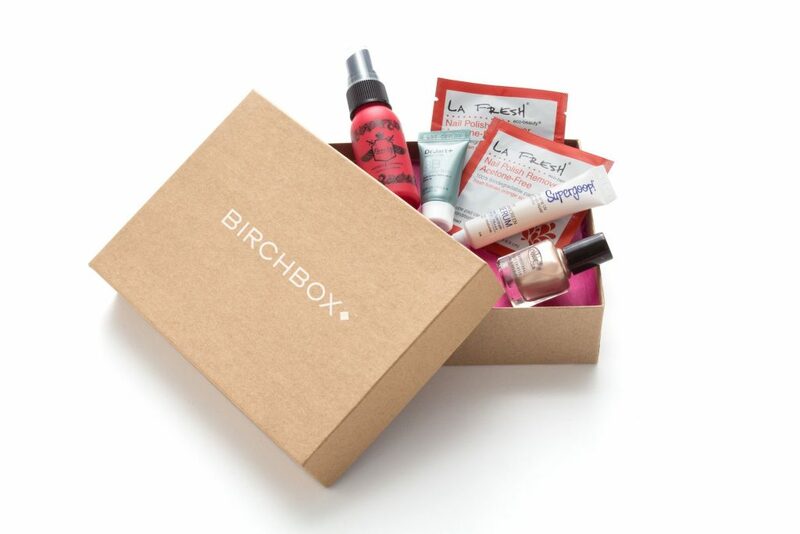 Birch Box offer a great way to keep a regular supply of hair, makeup, skincare and fragrance products at your disposal for you or a loved one, each and every month. There are boxes for men and women, each comes with 5 sample sized products for $10 per month. The beauty of it is, if you really like the products, you can buy the full size versions in the Birch Box online shop. This subscription is a great way to try out new products for a snip of the cost, and to always have a good supply of personal care products. Birch Box are highly rated and recommended, and very easy to use, not to mention the awesome low price. A worthy addition to the list. Do you love mystery, horror, and crime? 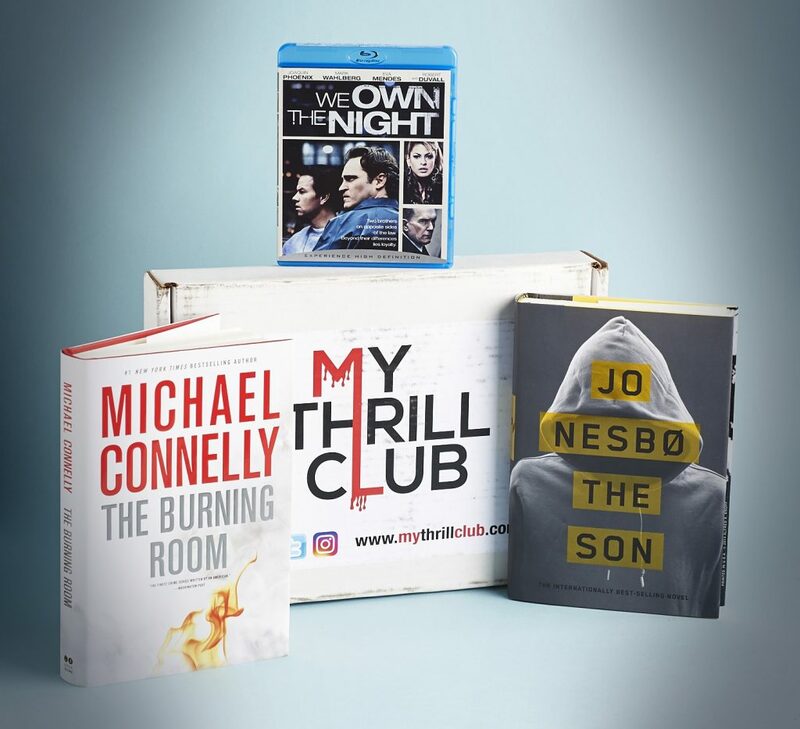 If you do, My Thrill Club delivers two books and a DVD for the genre of your choice or two DVDs and a book; it is your choice. Each month, these items are delivered right to your door. With a monthly subscription of $14.99, you might think that all you get are used books and a low-quality mystery movie. But, according to reviews, you get new books, some of which cost more than $30 on stores. Your subscription will auto-renew until you cancel. The boxes are delivered every first week of the month. If you subscribe today, your box will be delivered to you in seven days. If you intend to give the box as a gift for birthdays or any special occasion, the company accommodates that. This subscription box from Cratejoy has received great reviews from customer thanks to its low price and the quality of the products delivered. The first order comes at 10 percent discount when you use the code READ at checkout. This is another subscription box from Cratejoy. It is a box for young historians between ages 7 and 11. You will receive a book with fun illustrations to teach the youngies the world of history in interesting and inspiring stories. Young readers will follow the adventures of Max and Katie every month. Mysteries in Time like its name suggests is a mystery. You will receive history-related gifts, stickers, world map, and bookmarks. You also receive puzzles and other fun activities to get your kid occupied and keep them learning. The subscription comes for £7.95 every month. You subscribe once, and the subscription is renewed each month. Even with the great price, you can still get 20 percent off your first month by using the Coupon code OFFER20 at checkout. The boxes ship worldwide from the UK. You can choose between a classic pack and bumper box. Reviewers love the boxes. 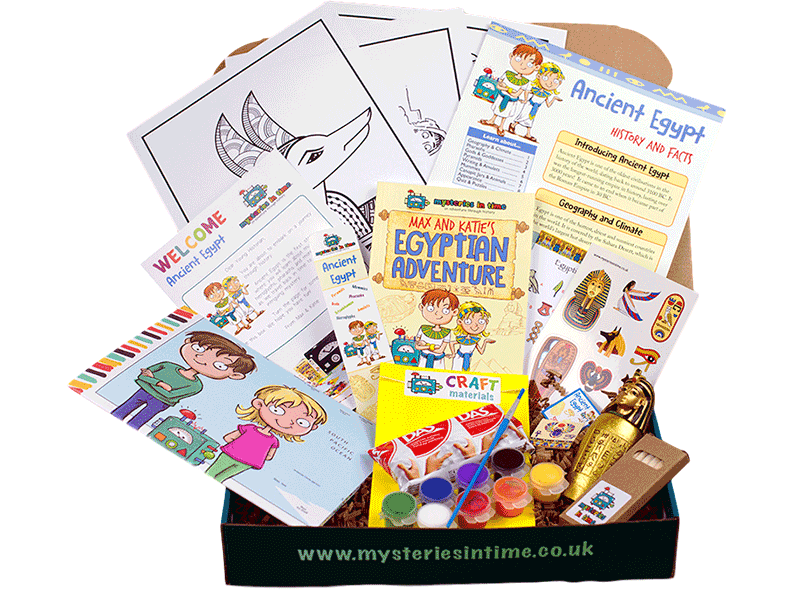 For kids who love mystery and adventure, the boxes will offer all the fun needed. You get only new books. Do you love music? You can choose your genre and get two or more CDs delivered to your door every month at only $3. This subscription box from Cratejoy comes as a gift to those who love music, and who doesn’t love music? The package will have CDs, artist stickers and download cards to offer you all the fun you need. 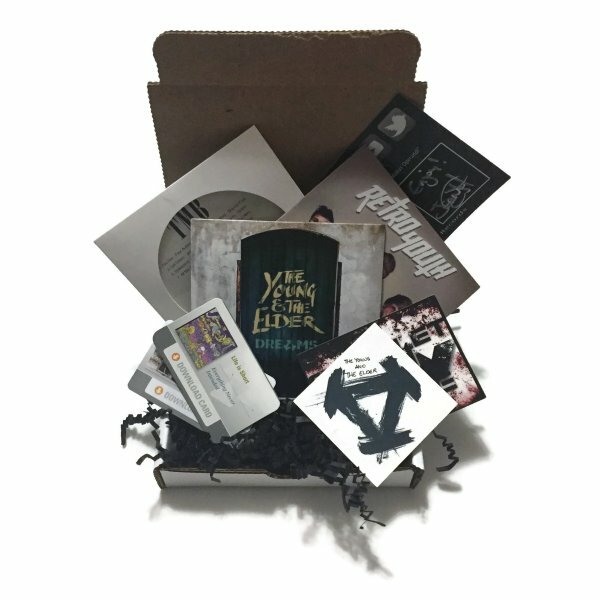 The subscription box seeks to promote upcoming artists while still offering you the best in your genre of choice. It is a good way to build your playlist. 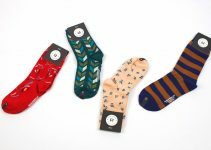 Boxes ship free in the US and at a small fee worldwide from the US. Orders ship on 8th of every month. To get the orders shipped to you, therefore, you need to place an order before 6th of every month. Unlike other subscriptions, the Music Box does not have a coupon code. But, at $3, the box is discounted enough. Subscriptions renew every month until you cancel. Tees let you express yourself. They are an ideal way to bring out your personality anywhere anytime. You will get a limited edition tee from different franchises every month with Loot Tees. When subscribing, you can choose between one, three, six and twelve-month subscription options. The good thing is that all sizes are available up to 5XL for men and 3XL for women. Choose your size and get started. Subscriptions are only $8.99, which includes shipping and handling. 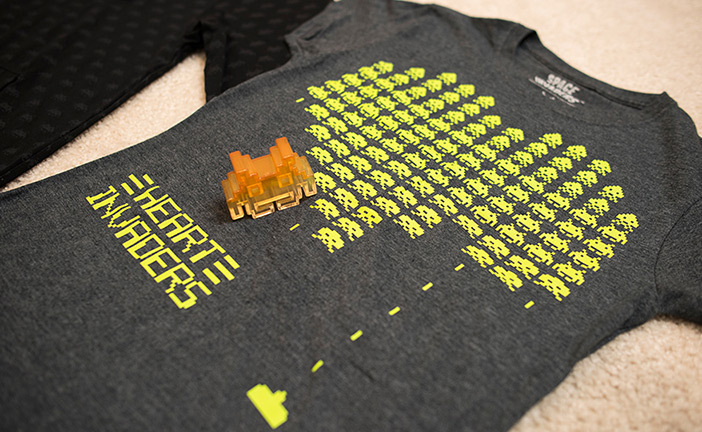 You can see reviews from other consumers on Loot Crate website and also browse through some of the tees that you might receive in your subscription box. According to reviews, the box is worth the price. Boxes ship worldwide from the US. Classic toys bring so much memory, which is why nostalgia crate is a great choice for many. This is a mystery box that delivers all the best toys from the 80s to around 2007. 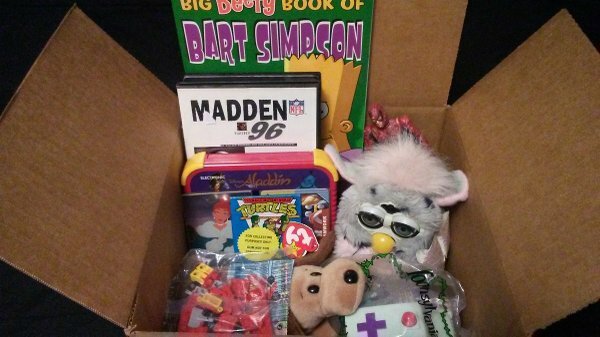 The box is delivered full of actual retro toys, comics and games. You will be offered new and sealed collectibles too, but bare in mind that most of the products, by their very nature have been used before – they are after all genuine products of the era. Each box is offered different from the last one to rekindle different childhood memories. When subscribing, you get to specify what you want to see just to ensure that you are covered. You can choose video games, books, comics and trading cards among others. You customize your box for the best experience. There are plenty of unboxing videos on YouTube that give you an idea of what you can expect to receive in the box, and some of the products are outstanding. You get to choose your crate and the subscription price. The lowest crate is the trading cards crate, which goes for $5 per month followed by video games crate for $10 per month. These crates are offered at different prices with the highest being $100 per month. Get what suits your budget, there is plenty to be had for under $15. Boxes are delivered every first of every month. Shipments are done in all parts of the world. The subscriptions renew every month until you cancel. 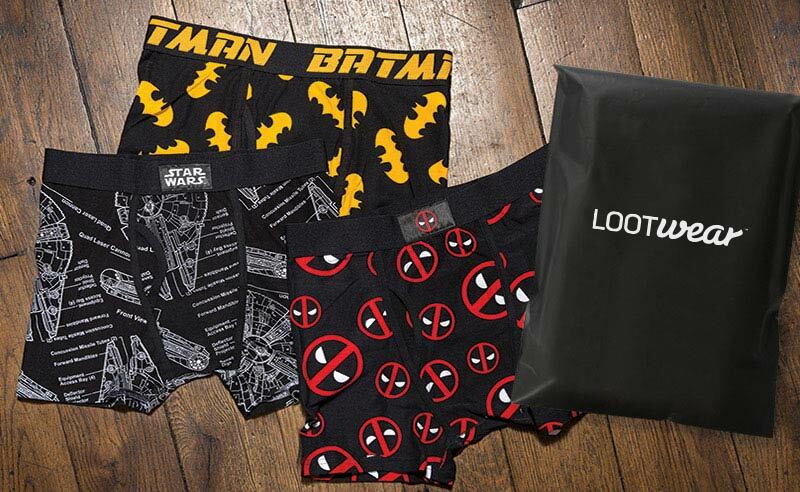 Everyone loves superhero underwear, and with Loot Crate’s Loot Underwear subscription you get new themed underwear delivered straight to your door every month. Each month has a different theme and there is free shipping on every package. Loot Crate have some exclusive franchise names so some of the gear you won’t find anywhere else. Also, with Loot Underwear, the longer a subscription you sign up for, the cheaper the monthly cost. Previous themes have included Batman, Deadpool and Star Wars, a great subscription for any sci-fi fan out there that likes to have a regular supply of fresh underwear. Bocandy delivers you Japanese DIY ice cream right to your door. You also get Green Tea Kit-Kat and Bulgarian Milk bars among others to brighten up your day; but only if you love candies. 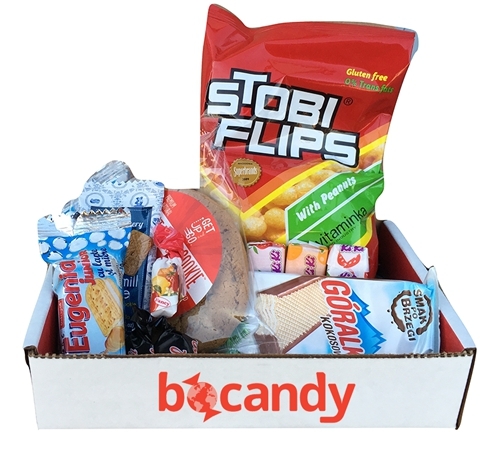 Bocandy offers a wide range of subscription boxes, offering you treats, candies, snacks and imported specialties. You get to choose what you need to ensure that you get customized products. 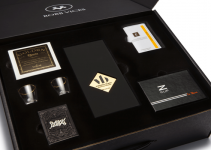 You will get a tasting box shipped to you free to ensure that you get just what you need. Each candy is well selected, ensuring that you get unique candies. You are offered information on each treat including ingredients. You can choose one among five boxes each with a different set of goods, and you can also subscribe for special gifts. The cheapest box is the Bocandy starter offered with up to 7 candies selected from the US and around the world. This box goes for $9.99 while the most expensive goes for about $50. Boxes ship worldwide from the US. This is for girls. If you need to have 4 or 5 pieces of jewelry delivered right to your door every month, you can subscribe to Geek Chic Monthly. The jewelry are collected from different parts of the world, ensuring that you get unique and quality pieces. Subscriptions are encouraged early so you can get your box prepared. Each month, a special box with unique jewelry is delivered to you. Besides jewelry, you get other accessories and collectibles in a reusable box. The seller will reveal the themes for each month up front. This allows you to skip a month when the theme does not resonate with your taste. 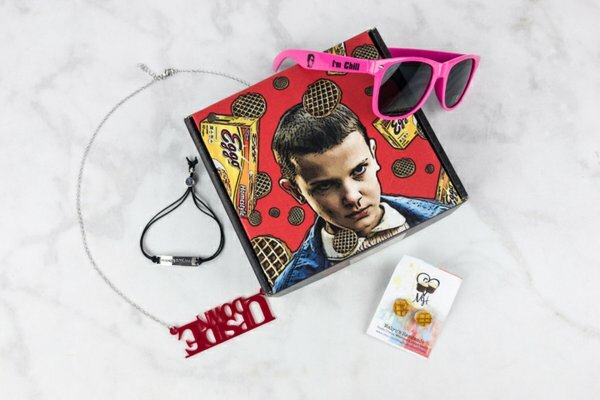 Unlike other boxes that are only available once, Geek Chic Monthly past boxes are available for consumers. The boxes ship worldwide from the US. Each box will cost you $13 per month. 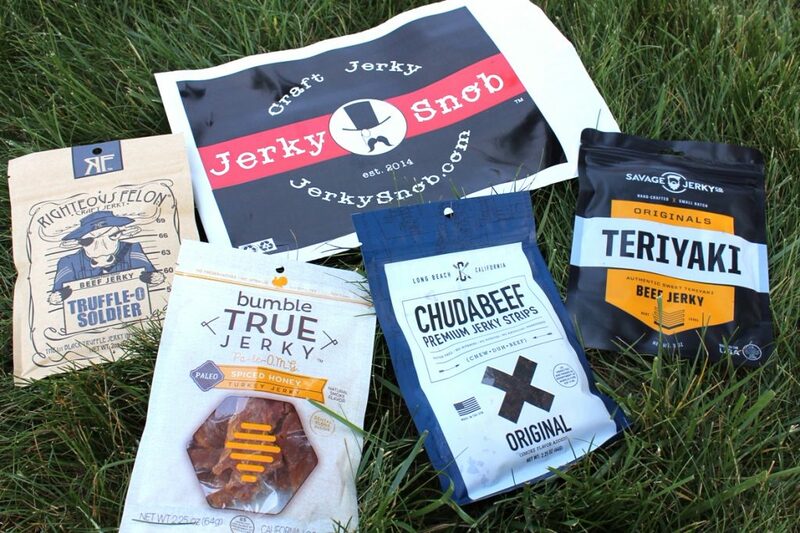 If you are a fan of jerky, the Jerky Snob chooses high-quality jerky for your taste buds. According to the seller, the ingredients are well selected to ensure that you eat healthy. The seller ensures that all the jerky you get has fewer preservatives, ensuring your health. Jerky Snob is a collection of healthy artisan jerky. Each package comes with no MSG, no nitrites and nitrates and no high-fructose corn syrup. You can choose between two boxes, 1/2 pound and 1 pound. Each subscription will cost you $15 or less and will be delivered between first and seventh of every month. Orders are shipped to different parts of the world from the US except for a few select countries. Your subscription will renew each month and you have the option of canceling anytime. This is one of the best-rated subscription boxes under $15.